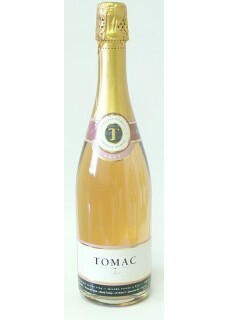 This is an interesting sparkling wine by the Tomac family that started making sparkling wines in 1993. It is characterized by a dark pink colour, aromas of flowers and freshness of flavour. Nice bead and pleasantly fills the mouth. It is a somewhat unusual fusion of Chardonnay and “Portugizac”. The Sparkling wine has aged a minimum of two years on the lees. Food pairing: As an aperitif, or with salmon and other seafood.